Activists in Brussels, Belgium have gone to the Embassy of Cyprus to demand that the rights of Iranian refugees be upheld by the Cypriot government. Organized by Nadia Borremans and Morteza Mollazeinal, the two-day protest action included a meeting with Ambassador Mavronicola–Droushiotis on 16 May 2011 and group demonstration outside the Embassy of Cyprus on 17 May 2011. Cyprus has a refugee recognition rate of approximately one percent – among the lowest in the European Union – a clear indication that rights of asylum-seekers are grievously violated in Cyprus. Numerous reports have emerged over the years about the arbitrary and illegal detention of Iranian refugees in Cyprus, sometimes for years. This reality was reflected in the signs carried by demonstrators who demanded the release of illegally detained refugees. At his court session held at the Revolutionary Court on Saturday, 14 May, blogger Payman Roshan Zamir did not present a defense for himself in protest to the unjust proceedings of the judicial review. “According to requirements expressed in the law for a political suspect’s trial court, there should have been an open court, a jury, and a Representative from the Prosecutor; none of these were present. What is happening inside the Judiciary is that all laws are interpreted against the legislator’s intentions and against the suspect. 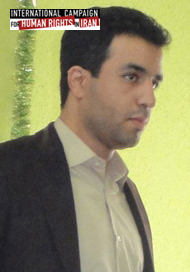 I was entitled to an open court, whereas even my father was not allowed to attend, and when the lawyer brought him into the court after a lot of hardship, the Judge did not let him be present,” Roshan Zamir told the International Campaign for Human Rights in Iran about his court proceedings. 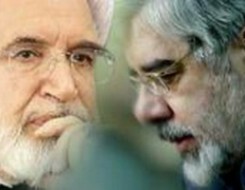 More than 100 days have past since the house arrest of Musavi-Karoubi and their wives ! Their arrest brings more division among coup regime ! Kommentare deaktiviert für More than 100 days have past since the house arrest of Musavi-Karoubi and their wives ! Their arrest brings more division among coup regime !